1. 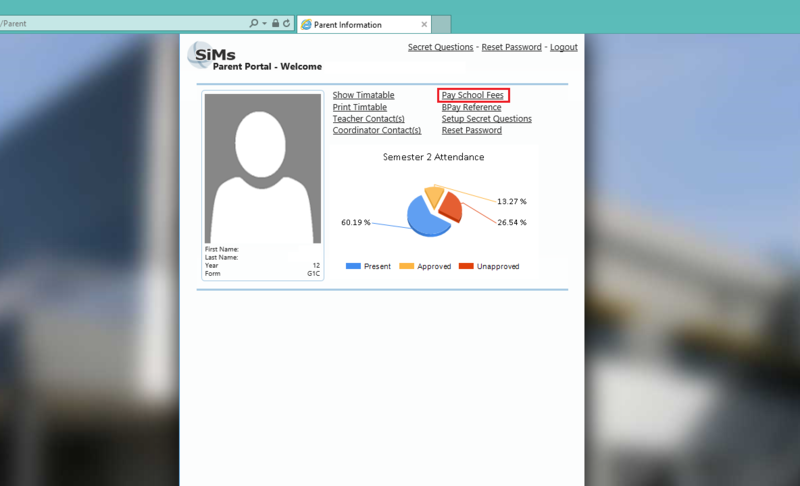 Login to the School Portal using the Username and password that are provided in the letter. If you are having trouble logging in or changing your password please refer to this guide. 2. Click the ‘Pay school fees’ button to pay the school fees for the selected student. 3. 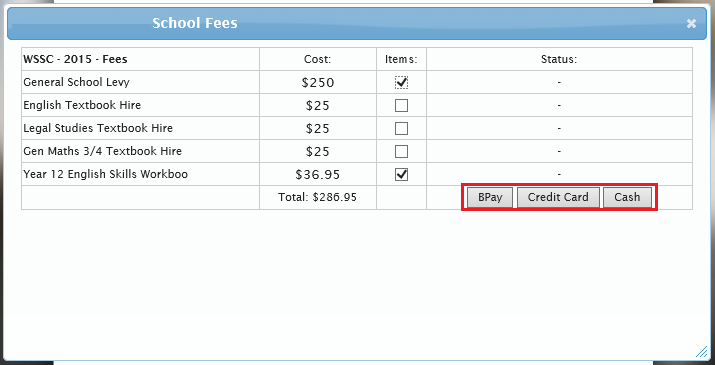 Select which school fees you would like to pay for, then select a method of payment. Credit Card Selecting this method will redirect you to a website that will require you to enter you credit card details. COD (Cash on delivery) By Selecting this payment method you will be required to pay at the front office. 4. Click the ‘OK’ button to proceed. By clicking Ok you are placing an order with Wodonga Senior Secondary College. This order can be changed by contacting the front office. You can then finish off the payment process for your selected payment method.